We've just added some exciting new promotional drinkware products to our website! These great new product come standard with a super fast 3-day turnaround time! Plastic Cup with Lid: These colourful plastic cups with lids are just one of the fresh new promotional drinkware products we have available. This 473ml custom printed cup has double acrylic walls and is incredibly durable and long lasting. Price includes one colour print. Available with an amazingly fast 3 day turnaround time! 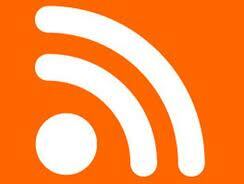 Additional set-up charge of $48.00 plus local freight charge and GST will apply. 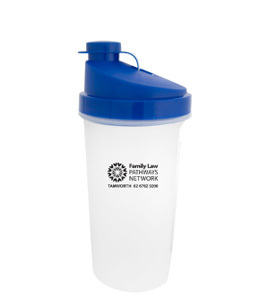 The 700ml Shaker Bottle: Custom printed shaker bottle, perfect for protein shakes and diet drinks and ideal as a custom printed promotional giveaway for businesses in the health and fitness industry. This 700ml bottle comes with a screw on flip top lid and a strainer to help mix up your shake. Available with an amazingly fast 3 day turnaround time! Additional set-up charge of $48.00 plus local freight charge and GST will apply. In addition to these trendy new promotional drinkware items, Vivid Promotions has many more custom printed drinkware options available. Our full range consists of a huge variety of different colours and different sizes, with something to suit all budgets and tastes. For businesses on a tight budget, cheap plastic water bottles like our 750 Screwtop Drink Bottles are perfect at as low as $1.54 per unit for a 1 colour print. Then on the other end of the scale we have more high end, stainless steel drink bottle options, like our 750ml Stainless Steel Drink Bottle from the Image Collection. This stylish bottle is available with laser engraving, which is the most permanent decoration option as well as one of the most stylish and sophisticated. If you are looking to maximise your advertising message, the option of a full colour digital print drink bottle is also something you may wish to consider. We have many different sized drink bottles ranging from 400mls up to 800mls that can be printed with a digital print image or logo. An imprinted drink bottle or promotional drinkware item of any kind is something that people will use everyday. 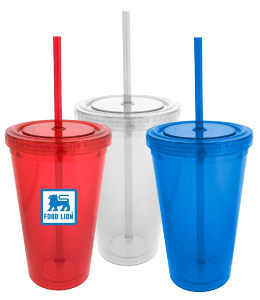 Make sure your logo stays in the forefront with some custom printed promotional drinkware. Thanks for adding this info about barbucees, Aaron. I usually leave the cooking to someone else and just look forward to the eating! (Cleanup is also my responsibility.) Solar-powered cooking looks like it would be neat to try.